Colors are all around us. And they can influence our emotions weather we realize it or not. For instance, politicians often wear the color red in order to portray confidence and authority. Whereas in a yoga studio you’ll see a lot of neutral and green colors, which help to evoke the feelings of nature and peace. Colors can excite us, energize us, calm us, and so on. In this article, we will focus on one color in particular, the color blue. The color blue typically has a calming effect. In some cultures, it represents trusts, truth, wisdom, and stability. Blues such as aqua and turquoise help entice more creative feelings, while deeper blues carry a serene, yet serious tone. 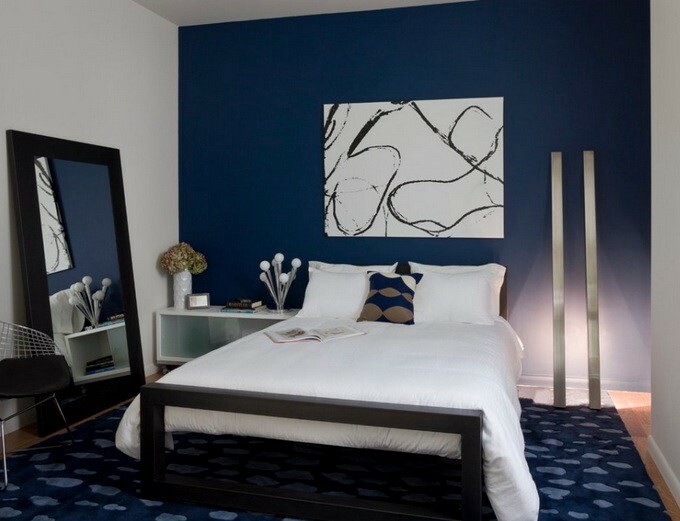 In feng shui, the color blue represents the water element, relaxation, and confidence. Lighter shades of blue and blue-greens represent youth, while deep blues represent wisdom. The color blue also is vast when it comes to nature. From our oceans below to the skies above, blue is the dominant color of our planet. When you’re surrounded by the color blue you feel a sense of tranquility. After all, isn’t that what makes a vacation by the beach or lakeside so rejuvenating? Or, when you look up at the night sky how the deep midnight blue conveys feelings of mystery and awe. Blue is by far one of Earth’s most treasured of colors. So, when it comes to using blue and design you have several options. 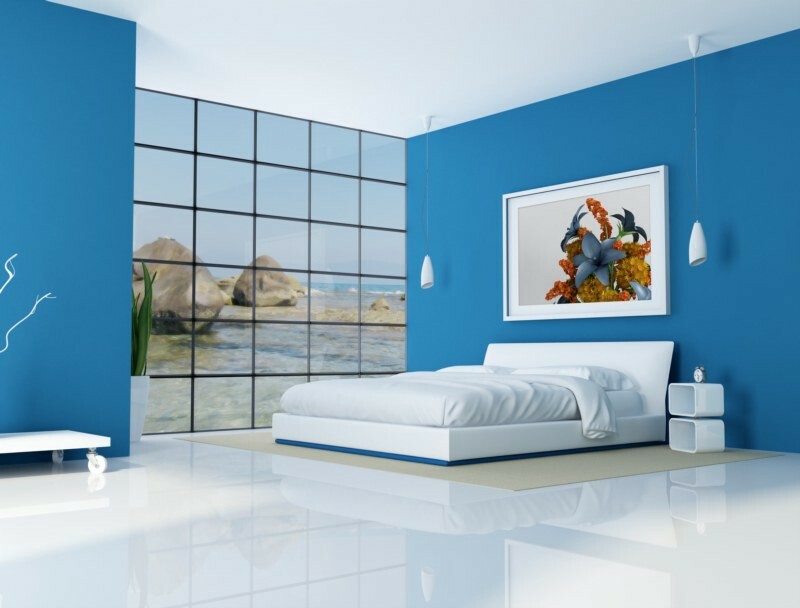 From light blues dark clues to green blues you can use the color blue to bring new life into your home. 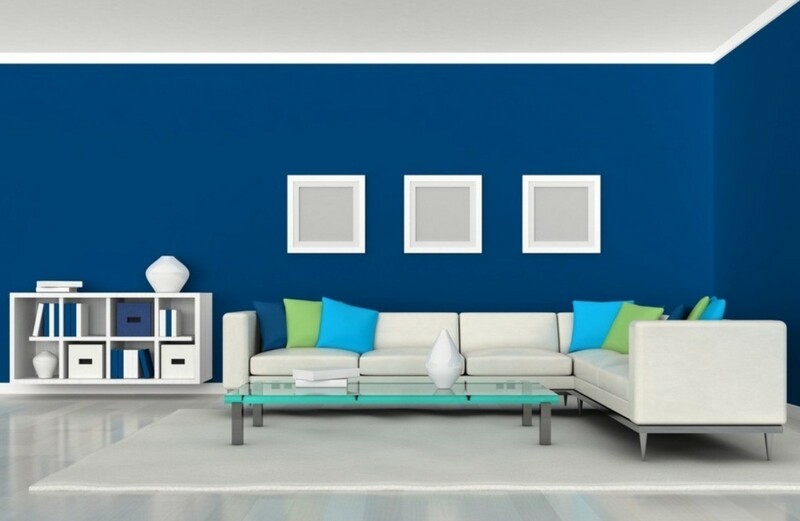 For instance, blue works well as a wall color in a home office, bedroom, or bathroom. It is a cool color that’s naturally suited to spaces where you need to create a sense of calling tranquility. However, this doesn’t mean that you can’t use blue and other parts of your home. For instance when you pair together rich blue walls with a faux brick panel accent wall, you can create a stimulating effect, that gives your home a wow factor. The same thing can similarly be done in the kitchen. Except in a kitchen the faux brick wall will be the star, and you’ll accent it with rich blue hues. Another option for a living room is to have creamy natural white walls and accentuates with blue pillows, carpets, and maybe even a sofa chair. This will bring a wonderfully calming pallet to your home. And will make your family and guests feel welcomed and invited. There are literally countless ways you can incorporate the color blue into your home. And to further inspire you and help you come up with ideas of how to use the color blue. We suggest taking a walk outdoors and snapping pictures of all the blue things you see. Also, visit your local bookstore and thumb through different books and magazines, noticing how the designers incorporate blue into their living spaces. You can even visit a paint store and bring home several different blue swatches to help decide which blue is the best for you. No matter which shade of blue you end up going with, it’s hard to go wrong. The key is to finding the perfect balance between blue and your accent pieces to help bring the calming and renewing effects of blue into your life and home.